A number of recent books and articles would have you believe that—somehow—science has now disproved the existence of God. We know so much about how the universe works, their authors claim, that God is simply unnecessary: we can explain all the workings of the universe without the need for a Creator. And indeed, science has brought us an immense amount of understanding. The sum total of human knowledge doubles roughly every couple of years or less. In physics and cosmology, we can now claim to know what happened to our universe as early as a tiny fraction of a second after the Big Bang, something that may seem astounding. In chemistry, we understand the most complicated reactions among atoms and molecules, and in biology we know how the living cell works and have mapped out our entire genome. But does this vast knowledge base disprove the existence of some kind of pre-existent outside force that may have launched our universe on its way? Science won major victories against entrenched religious dogma throughout the 19th century. In the 1800s, discoveries of Neanderthal remains in Belgium, Gibraltar and Germany showed that humans were not the only hominids to occupy earth, and fossils and remains of now extinct animals and plants further demonstrated that flora and fauna evolve, live for millennia and then sometimes die off, ceding their place on the planet to better-adapted species. These discoveries lent strong support to the then emerging theory of evolution, published by Charles Darwin in 1859. And in 1851, Leon Foucault, a self-trained French physicist, proved definitively that earth rotates—rather than staying in place as the sun revolved around it—using a special pendulum whose circular motion revealed the planet’s rotation. 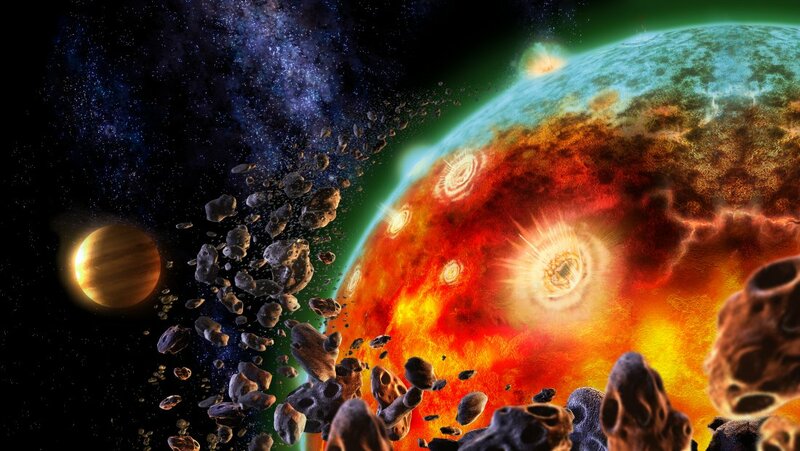 Geological discoveries made over the same century devastated the “young earth” hypothesis. We now know that earth is billions, not thousands, of years old, as some theologians had calculated based on counting generations back to the biblical Adam. All of these discoveries defeated literal interpretations of Scripture. But has modern science, from the beginning of the 20th century, proved that there is no God, as some commentators now claim? Science is an amazing, wonderful undertaking: it teaches us about life, the world and the universe. But it has not revealed to us why the universe came into existence nor what preceded its birth in the Big Bang. Biological evolution has not brought us the slightest understanding of how the first living organisms emerged from inanimate matter on this planet and how the advanced eukaryotic cells—the highly structured building blocks of advanced life forms—ever emerged from simpler organisms. Neither does it explain one of the greatest mysteries of science: how did consciousness arise in living things? Where do symbolic thinking and self-awareness come from? What is it that allows humans to understand the mysteries of biology, physics, mathematics, engineering and medicine? And what enables us to create great works of art, music, architecture and literature? Science is nowhere near to explaining these deep mysteries. But much more important than these conundrums is the persistent question of the fine-tuning of the parameters of the universe: Why is our universe so precisely tailor-made for the emergence of life? This question has never been answered satisfactorily, and I believe that it will never find a scientific solution. For the deeper we delve into the mysteries of physics and cosmology, the more the universe appears to be intricate and incredibly complex. To explain the quantum-mechanical behavior of even one tiny particle requires pages and pages of extremely advanced mathematics. Why are even the tiniest particles of matter so unbelievably complicated? It appears that there is a vast, hidden “wisdom,” or structure, or knotty blueprint for even the most simple-looking element of nature. And the situation becomes much more daunting as we expand our view to the entire cosmos. We know that 13.7 billion years ago, a gargantuan burst of energy, whose nature and source are completely unknown to us and not in the least understood by science, initiated the creation of our universe. Then suddenly, as if by magic, the “God particle”—the Higgs boson discovered two years ago inside CERN’s powerful particle accelerator, the Large Hadron Collider—came into being and miraculously gave the universe its mass. Why did this happen? The mass constituted elementary particles—the quarks and the electron—whose weights and electrical charges had to fall within immeasurably tight bounds for what would happen next. For from within the primeval soup of elementary particles that constituted the young universe, again as if by a magic hand, all the quarks suddenly bunched in threes to form protons and neutrons, their electrical charges set precisely to the exact level needed to attract and capture the electrons, which then began to circle nuclei made of the protons and neutrons. All of the masses, charges and forces of interaction in the universe had to be in just the precisely needed amounts so that early light atoms could form. Larger ones would then be cooked in nuclear fires inside stars, giving us carbon, iron, nitrogen, oxygen and all the other elements that are so essential for life to emerge. And eventually, the highly complicated double-helix molecule, the life-propagating DNA, would be formed. The scientific atheists have scrambled to explain this troubling mystery by suggesting the existence of a multiverse—an infinite set of universes, each with its own parameters. In some universes, the conditions are wrong for life; however, by the sheer size of this putative multiverse, there must be a universe where everything is right. But if it takes an immense power of nature to create one universe, then how much more powerful would that force have to be in order to create infinitely many universes? So the purely hypothetical multiverse does not solve the problem of God. The incredible fine-tuning of the universe presents the most powerful argument for the existence of an immanent creative entity we may well call God. Lacking convincing scientific evidence to the contrary, such a power may be necessary to force all the parameters we need for our existence—cosmological, physical, chemical, biological and cognitive—to be what they are. 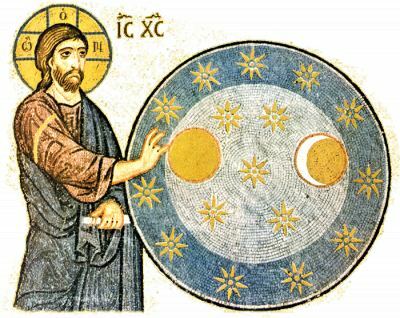 Science and religion are two sides of the same deep human impulse to understand the world, to know our place in it, and to marvel at the wonder of life and the infinite cosmos we are surrounded by. Let’s keep them that way, and not let one attempt to usurp the role of the other.